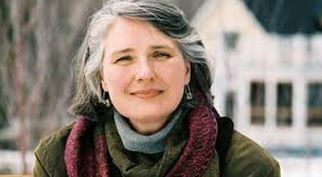 Louise Penny Has Captured My Imagination and Is Holting it Prisoner! 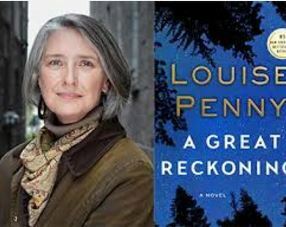 I haven’t yet read all ten of Quebecquois author Louise Penny’s ten novels, but I know that soon I will! I just can’t put them down! She’s amazing! IT’S amazing and she’s been around now for quite some time and I’m coming late to the Louise Penny party, but I’ve just subscribed to her chatty newsletter and I recommend you all, dear readers, dear cineastes, dear lovers of literature and the theatre, so check out http://www.louisepenny.com and you can friend her on Facebook! What a lovely writer! And how unusual is it for novels that routinely debut at the top of the New York Times Bestseller List (hardcover and paperback) to be set in Montreal?!?! And mostly the tiny little village of Three Pines. It boasts a bar and a bistro and all the characters have French names, but Louise Penny writes so beautifully about them, in English. Her descriptions of the seasonal changes in her(and my) beloved Montreal and Quebec are just magical. They make you want to be there all year ’round! And I’ve neglected to say just what these novels are all about. Well, believe it or not, they’re mysteries! Whodunits! Not since Agatha Christie have I’ve found myself so obsessed! Her leading man is the beguiling Chief Inspector Gamache of the Surete. The Montreal police. And Penny doesn’t just stop there. She’s created a GALLERY of adorable characters around him, Clara Morrow, the painter, Myrna, the black Used Bookshop keeper, Olivier and Gabri, a delightful gay couple who run the Bistro and most memorably for me, the foul-mouthed nonogenarian poet (and drunk) Ruth Zardo, who has a pet duck, Rosa! A pet duck! I love that! And Three Pines is off the grid! Inspector Gamache and his hearty side-kick Jean-Guy Beauvoir are constantly frustrated because there’s no Internet there! I love that! I love Ruth and Rosa, and I immediately wanted to move to Three Pines, but of course, anyone who does so does so at his peril. Because delightfully hidden getaway to end all getaways, you could very well end up murdered. As many of its’ tiny citizenry do. On a regular basis. My favorite? So far “Fatal Grace” which is set in Three Pines at Christmas time. Penny, a former CBC broadcaster, miraculously turned her life and career around, at the midway mark, and began to produce these ASTOUNDINGLY successful, delicately written thriller-dillers. “Fatal Grace” kept me up until 3AM a few nights ago! I couldn’t put it down! And Penny wrings changes on the tried and true mystery form, which she seems quite frankly at once in love with but also tired of. 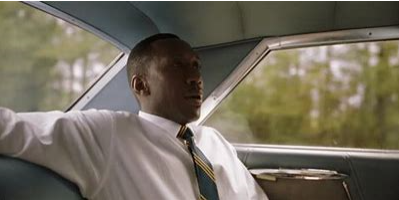 She does this by continuing her characters exploits and their stories from novel to novel. One saga involving Olivier goes on for two books! And she develops her characters lovingly as she deepens their stories from book to book to book! I don’t know which Louise Perry novel I’m going to read next! But I can’t wait! My advice, start with the first one “Still Life” and then the second “Fatal Grace” and continue reading them in succession. You’ll be glad you did!